Opposing BDS was of course a big part of Hillary Clinton’s march to the Democratic Party nomination last year, and her cultivation of donors. Dems really don’t want to talk about Ellison’s record on Israel. “No comment” said one [Chuck] Schumer ally. Many stories avoiding elephant in room. That he is being seriously considered now — and with the backing of the party’s foremost pro-Israel stalwart, incoming Senate minority leader Sen. Chuck Schumer, D-N.Y. — is a signal of how far the party is willing to go in challenging the most influential pro-Israel groups, a relationship that not so long ago was hard to disentangle. So it’s the same battle we’ve seen over Chuck Hagel, Chas Freeman and Bernie Sanders, too. And the critics of Israel are building their base inside the party, thanks to young Dems, women, people of color. Though the old guard is still the old guard, and opposed to BDS. President Obama opposed BDS. So did Bernie Sanders. They had no choice, politically. “We hope that all candidates for this post will make clear where they stand on these issues, and that the Democratic National Committee will make a choice that affirms the longstanding bipartisan consensus on a strong U.S.-Israel relationship,” he said. The Minneapolis Star and Tribune notes the sources of the Farrakhan report (pro-Israel publications) and says Ellison is fighting back. Rep. Keith Ellison said Tuesday he has a long record of fighting anti-Semitism and strongly condemns the Nation of Islam in light of several op-eds published this week that accuse the Minneapolis congressman of secretly supporting Nation of Islam leader Louis Farrakhan…. This week, op-eds in the Weekly Standard and Tablet, a Jewish news website, touted quiet ties Ellison had with the Nation of Islam — a black political movement dubbed a hate group by the Southern Poverty Law Center. Ellison’s camp sent out a list of clarifications with the op-eds, saying Ellison has condemned the Nation of Islam and other groups that promote anti-Semitic statements. In 2003, Ellison helped prosecute Holocaust deniers in the state legislature, his spokesman said…. “Keith forcefully rejects anti-Semitism and other forms of hate or discrimination – values that define the foundation of his public service and his vision for America,” an Ellison spokesman said. The case against Ellison that should concern all Americans is moral. To borrow a term, he is a bad hombre. The next DNC chair needs to focus first on grassroots organizing and winning elections. And Jewish Democrats should put our efforts into ensuring that Democrats come out to vote in 2018 and in 2020. Yes, of course the J Street Left supports Ellison, and well they should. And American Jewish World Service, Bend the Arc, Americans for Peace Now, Senators Sanders and Al Franken and others are all advocates and allies. But for me, it’s much more noteworthy – and no disrespect intended – what the Alan Dershowitzes and the Chuck Schumers, the Marshall Bregers and the Michael Latzes, the Marc Schneiers and the Religious Action Centers and the Jews of Minnesota all say. What passes for a “Progressive” these days is absurd. Ellison is a war-mongering toady for the Corporate Dems. He’ll fold on any issue if it benefits him. But of course, that is the definition of just about any member of the so-called progressive caucus. Here’s a good look at the illustrious co-chair of that caucus. Pretty disgusting. So, what they are doing now, that’s how the Israel lobby, the Neocons and the pro-Israel war hawks thank him for supporting their war efforts? As a muslim he’s not realiable enough? For me it looks just like the opposite: Keith Ellison looks like just another pro-Israel war hawk in the pocket of the lobby. bandolero, dems are going to keep losing elections if they don’t drop this pandering to the lobbies, people are fed up. What a horror. A foreign country using American supporters to influence elections and policies in the US. Oh, the country is Israel. Never mind. Seriously, this is a disappointment. The first of many steps to come that reduce the chance of the Democratic Party’s taking clear, moral positions for workers and for people oppressed by those with greater clout. And it’s the first public lie. Ellison knows he’s lying when he says that BDS will not help produce a two state solution. By the way, I don’t believe Schumer wanted Ellison to head the DNC. He backs him to gets credits with the Bernie people knowing that the lobby will kill it. Really? Does Trump not have a choice either? Time to call a spade a spade. Obama and Sanders are cruel hoaxes. At least Trump never pretended to be even handed. People of color and other DNC obedient groups are not going to deliver freedom for Palestinians. Convincing millions of Americans across different sectors of society, that Israel is bad for the US, would. Very well said, Atlanta. Why else would “non-Zionist” tribals try everything bar physical violence to stop If Americans Knew? Why else would so many Palestine solidarity sites look like partisan politics clubs? 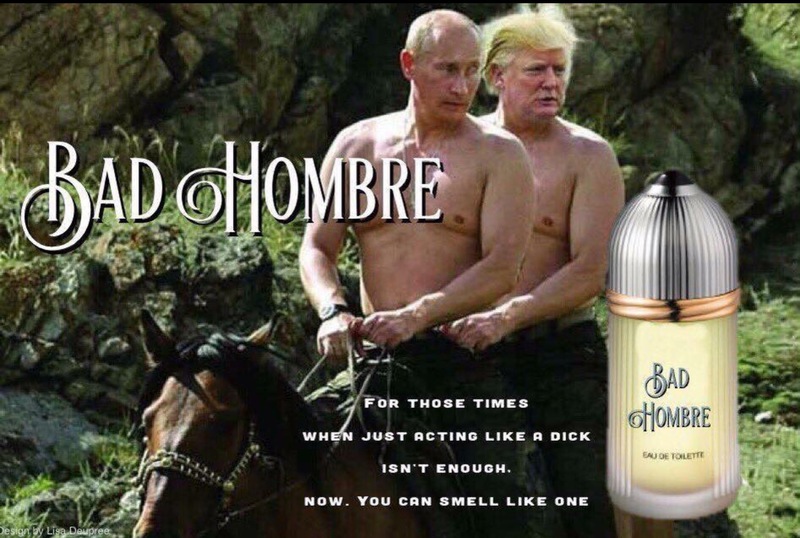 trump limited his racial innuendo to “hombre”. Just called his office to rant; mailbox is full. population into the occupied territories (West Bank and Golan Heights). threatened or imposed on Israel. the Democratic Party “base”) need, deserve, and demand. lost faith, lost out in America. that party must be progressive. And not PEP — Progressive Except for Palestine. Get with it! Get a backbone. If not now then after you are elected. The American People have spoken, Republicans can’t say that they know what Americans want. She conceded much too soon, for one thing. I guess we should not be surprised. Eventually, they all capitulate and kiss up to that great big behind. For a moment there I did have some hope that he will have the spine to be different. Let us not kid ourselves, we will never, ever, see an American leader have the courage to defy the establishment, and reject the zionist influence that has permeated into our system making it too toxic for us to cope with. The ADL cannot coherently simultaneously whine antisemitism and support Israeli Policy against the Palestinians. Nobody is sacred unless everbody is sacred. [EXCERPT] When Donald Trump uttered the words “bad hombres” during the final presidential debate last night, I shuddered. Not just because he mispronounced it as “bad hambres” (or “bad hungers”) but because he dared to use my native language and the language of Latinos’ ancestors to demean undocumented immigrants. We’ll get them out, secure the border, and once the border is secured, at a later date we’ll make a determination as to the rest. But we have some bad hombres here and we’re going to get them out. Politics aside, the language Trump uses is just as important as what he is, or rather isn’t, saying. Sure he’s repeatedly spoken about immigrants as if they were a biblical plague of sombrero-wearing, mustachioed criminals yelling “arriba! arriba!” as they run across the border with taco bowls filled with drugs. But on Wednesday night he turned to Spanish to make his point. . . The Weekly Standard is an American neoconservative opinion magazine, Talk about Fake News, these guys are lying all the time. If Ellison is against BDS then I’m against him. Find someone better, more courageous, more moral.